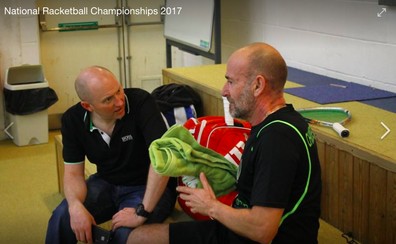 ​The 1st and 2nd of April saw players from all over the country fight it out for the chance to be crowned National Racketball National Champion in 2017. The event saw over 120 competitors and … previous National Champions compete. ​In the main event there was an early upset when ¾ seed and winner of UK-Racketball Series title Dan Soar was defeated by local Nottingham player Tom Bailey in the first round. Soar was the only seed to fall however with one seed Tim Vail, two seed Adam Murrills and the other ¾ seed Ollie Turner and making it through without dropping a game. Up until the final Vail had shown no mercy with his opponents. He dropped only 10 points in the quarterfinals and 13 points in the semi final. The final was set up to be a classic encounter between the professional squash player Adam Murrils now ranked 90 in the world and Racketball legend Tim Vail. The women’s draw was a 5 person box league round robin. 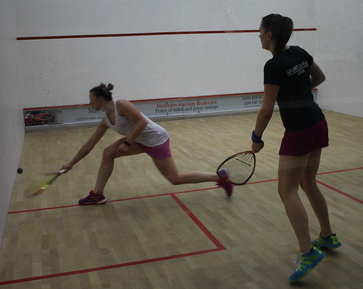 Charlotte Elgood defeated Vicky Toates who battled hard all weekend. Elgood however did not have enough to overcome the challenge of Jess Mudge in the following round. The young player from Devon showed off some impressive shots to take the match 3-2 in the closest of the ties in the women’s draw. Jess Mudge was tenacious as ever against Matilda Parslow in a match that both players needed to win to make it into a final against Natalie Lawrence. Parslow played a lot of Racketball at Chapel A when she was younger and this experience showed through in the end against Mudge in a game that saw a lot of desperate retrieving from both players in a match that was probably closer than the 3-0 score line suggests. The women’s final was always going to be interesting. Natalie Lawrence has dominated every UK-Racketball event that she played over the past few years and has always got the best over Parslow in the past. Parslow is improving all the time however and starting to get closer. Follow the links below to head to results, photos and titles! ​The British National Racketball Championships will take place at Nottingham Squash Rackets Club and the date is fast approaching. The last time UK-Racketball ran the National Championships was back in 2012 where we had a massive 260 entries, the biggest Nationals ever! The 2017 event promises to build on the success of previous years. 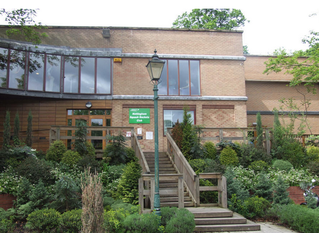 Nottingham has a thriving Racketball scene and is the home of UK-Racketball, making it a natural choice to host the National Championships. Nottingham is the biggest squash venue in the country and the first venue to become a host for a UK-Racketball Event back in 2010. 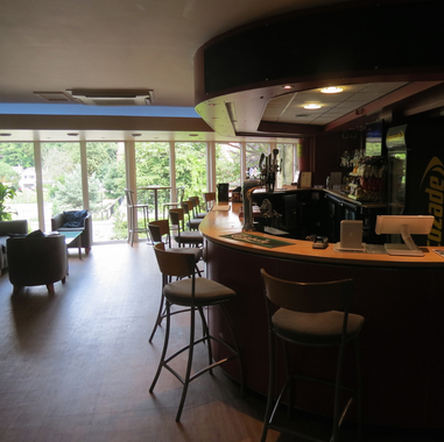 With 10 excellent squash courts, including six glass backs and one of the best championship show courts in the country, the club is an ideal host for any top Racketball tournament. 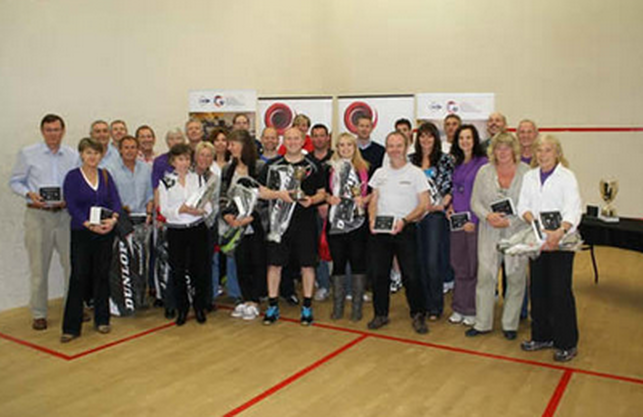 ​The British National Racketball Championships is open to all ages and abilities. Whether you’re looking to take on a new challenge or chasing a top title, this is the tournament for you. The UK-Racketball Series was founded on the principle of being accessible and open to anyone, no matter what their standard or grade. This is the ethos with which we ran the tournament in 2012 and will be the same focus in 2017. More and more women are taking up racketball each year, and the 10 grades on offer at the National Championships this year reflects this. In the Women’s event last year, Natalie Lawrence went on to take the double, beating Chloe Marshall 3-0 to take the Women’s title, and winning the O35s earlier in the day. In the mens category, England No1 Luke Bishop was knocked out by Tim Vail, who went on to beat a heavily fatigued Ted Jeal in the final. It was a fantastic Championship consisting of 10 grades for the men and ten for the women. The format remains the same this year, and with the event run by UK-Racketball we’re expecting a great entry. All competitors will receive a FREE quick dry t-shirt. Have a look at the information pages for the UK-Racketball Series to see the shirt. When the designs for the shirts have been done we will publish on the website. Prizes are given out to the winner and the runner up for each grade. This year the prizes will be vouchers for Head products. All winners and runners up will receive a trophy. Winners from previous rounds will referee the next match on that court (the same rules that apply to the UK-Racketball Series). This is a two day tournament taking place over the Saturday and Sunday, with no matches on the Friday. Friday 24th March – 8 days before the event - All events will close on midnight the Friday before the event so almost exactly a week before the event. Sunday 26th March – 6 days before the event - An entry list will be released on www.uk-racketball.com on the Monday before the event. If you have entered the event then please check on the Monday that your entry has been received and that you are on the list. If you should be on the list but are not then please email Mark Fuller mark@starsportsdevelopment.com as soon as possible.